Unlike some other elements of the home, fresh, clean windows are something that are noticeable from inside the house – and out. And not only do they matter aesthetically, but they also play a vital role when it comes to the warmth, livability, and energy efficiency of your home. Easy-to-use horizontally or vertically sliding windows. 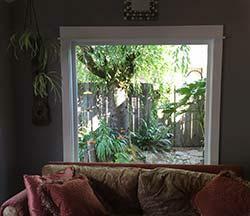 Double or triple-pane windows for maximum energy conservation. Classic single or double-hung windows. Triple-angled bow and bay windows. Small basement or shower sliding window slots. Skylights and new glass sliding doors. 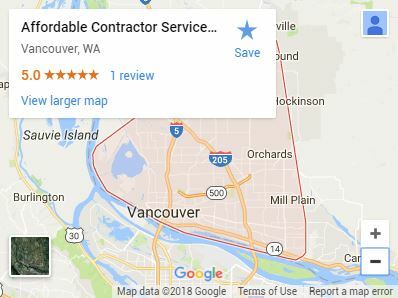 If your home needs windows installed, replaced or repaired, Affordable Contractor Services, LLC is a fully licensed and bonded remodeling contractor ready to do the job. 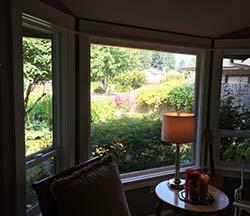 It may not always be completely obvious when the time has come for new windows. For many homeowners, they don’t immediately notice the fading clarity of their windows, or the fact that they’re always a little bit cold inside their home. Not to mention, replacing all the windows in the house is a large-scale job that’s easy to put off. Usually, a higher utility bill coincides with homeowners’ attempts to battle the cold air throughout the home. For most of us, turning on the heat if it’s cold isn’t something we think about, but once the bills start growing, it’s usually the first clue as to how much we’ve really been running the heater. It’s not just that it’s cold outside, it’s that homes with older windows just don’t trap heat like they used to. Especially here in Vancouver, windows that keep the cold air out and the warm air in are comfort-critical for a good part of the year. If there is a constant presence of cold air, even when there shouldn’t be – it may be time for a window upgrade. For windows that seem to have a puzzling layer of permanent fog preventing visibility of your beautiful yard, fence, or neighborhood, replacement windows might be the best option. While defogging some windows is possible, the process typically isn’t DIY, and doesn’t generally do anything to address the host of other issues that may be present in older windows. In some cases, a layer of mold may form around damp or foggy window panes. If a window sticks, or doesn’t open and close easily, that could mean that the unit itself has become warped over time. According to the US Energy Information Administration, an estimated one third (1/3) of the heat loss from an average home occurs through windows and doors. Even with the average cost of window replacement, most homeowners report an immediate decrease in their monthly bills after upgrading to more modern, energy-efficient windows. If you’re thinking about renovating or remodeling for any reason, energy-efficient windows are one of the few upgrades that begin to provide an immediate return on investment, while also greatly enhancing the interior and exterior look of the home. Where there are savings in heating costs, there may also be savings in electricity bills if more natural light is being let in. And while not an option for every home, a huge portion of the original homes in the Vancouver could accommodate another window – if not a new sliding glass door – to allow more light and natural ventilation into the home. Affordable Contractor Services will look at what individual improvements your windows might need. For every house, we consider things like age and location of the home, which rooms get the most sun throughout the day, along with any other unique considerations the homeowner might have. After a walkthrough and examination of your current window setup, we’ll provide a free estimate. If the time has come for a new set of windows, call us today for a consultation.